Edition not stated but small. Signed in pencil. Signed in the block, lower right. Image size 12 7/8 x 8 7/8 inches (327 x 225 mm); sheet size 15 3/4 x 10 5/8 inches (400 x 270 mm). A fine, black impression, on cream Japan, with full margins (3/4 to 1 3/4 inches), in excellent condition. 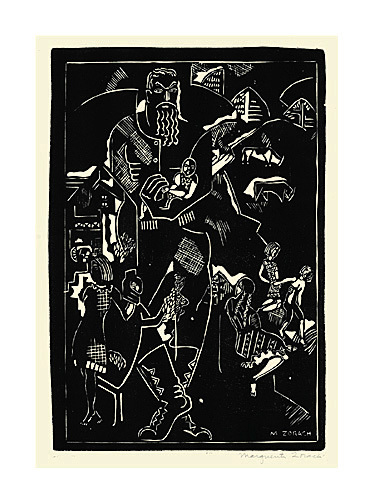 Exhibited and reproduced: Marguerite and William Zorach, The Cubist Years: 1915-1918, The Currier Gallery of Art, 1987. 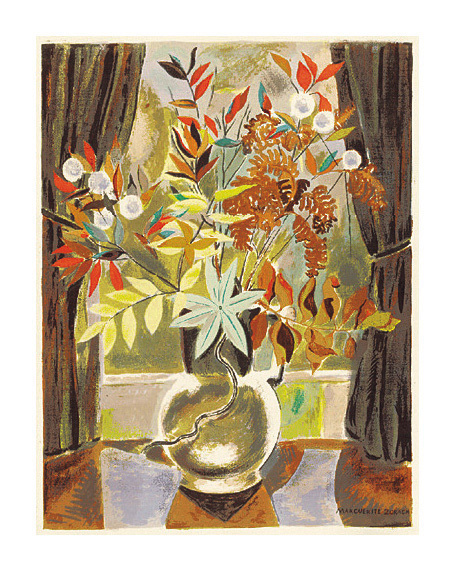 Collections: Currier Museum of Art, New Hampshire; Farnsworth Art Museum, Maine. 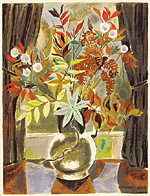 Autumn Colors- - c.1940, Serigraph. Edition not stated. Signed in the screen, lower right, as published. Image size 16 1/2 x 12 1/2 inches (419 x 317 mm); sheet size 17 x 13 inches (432 x 330 mm). A rich, painterly impression, with fresh colors, on off-white wove paper; narrow margins (1/4 inch), in excellent condition. 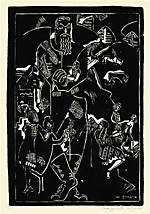 Illustrated in American Screenprints, Reba and Dave Williams, National Academy of Design, 1987.